Take a look at the latest works of Joana Bastos or contact them in Barcelona directly. Find on Production Paradise the best creative professionals and production services for art direction, art production, hair and make up artists, marketing services, props, furnishing, interior stylists. Joana Bastos was born in Portugal in 1982. 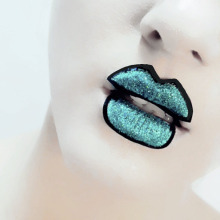 She is a visual artist combining make-up with styling for different concepts, bringing beauty and glamour to life. In 2014, she was director and producer of 'Pure Essence' fashion film. In October 2017, she presented her own runway collection, 'Future Glam 2018', a combination of sustainable handmade eyewear with her styling, beauty make-up and body art at Brooklyn Fashion Week in New York. 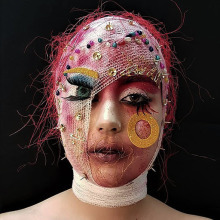 In 2018, Joana presented her new fashion film 'Lilith', a combination of her sustainable handmade eyewear line with creative make-up, body painting and costume design. The film was nominated in four categories at La Jolla International Fashion Film Festival in California, Bokeh Fashion Film Festival in South Africa, and was nominated for 'Best Accessory' at London Fashion Film Festival.